Professional Wedding Photographer in Leeds, Manchester and Lincolnshire. 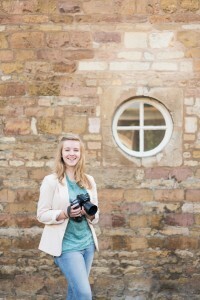 I’m Olivia, a wedding photographer in Leeds, and a hopeless romantic. I love my job! It is an honour to be a part of such a special day, and to see so many gorgeous couples become husband and wife, surrounded by your friends and families. I adore the moment when ‘Bride and Groom’ become ‘Husband and Wife’ and I am honoured to be a part of so many beautiful weddings, on such a special day. I’m a bit of a craft-lover, I love the feeling of making something you can share with others. That feeling is stronger than ever with photography – to me there’s nothing more important than having beautiful photographs that are so special they will transport you back to every moment of your wedding, so you can relive the happiness, excitement and joy. My style is very relaxed, giving you the chance to focus on each other, friends and family. Your wedding photographs will document your big day and everything that makes it unique and personal; from the big moments, to your carefully chosen details, to the excited chatter between guests. I will be in the background of your wedding so that your photographed are completely natural, and capture each moment as it unfolds. My style of wedding photography is contemporary, natural and friendly, to give you photographs that will truly make your day unforgettable. An important part of your wedding photography is your portraits. This is an opportunity for you to steal a quiet moment away together and to give you beautiful pictures that capture those moments forever. I feel very strongly about your photographs not only being gorgeous to look at, but they should be genuine too. I offer pre-wedding shoots so that on your wedding day you can feel as relaxed as possible in front of the camera and so that rather than directing the photographs, I can take a step back and photograph those stunning moments between you newlyweds! I know that photographs with family and friends will be some of your most treasured pictures, so I take the time to capture natural, candid pictures of those people closest to you, without your reception becoming a photo shoot. Before your wedding we can meet to talk about all your exciting ideas for the day, so that the photographs you have will be unique and exactly what you’re dreaming of. It’s a great chance to get to know you and for you to get to know me too. I am also a pre – wedding photographer covering Leeds, Manchester, Sheffield and York. I offer couples shoots as a beautiful memento of your relationship, engagement and as a pre-wedding shoot, to complete your wedding photography package. Engagement photography shoots are a the perfect way to get used to being in front of the camera and it helps you to relax during your wedding, to give you photos that show your love for one another first and foremost. Engagement shoots also give you a chance to get to know me even better before your wedding day, and will give you an idea of how your portrait pictures will go on your day (as well as giving me the opportunity to see exactly the sort of photography you would like for your wedding). If you are interested in booking me as your engagement photographer, please visit the Pre-Wedding Photography page. I am a Yorkshire & Lincolnshire based wedding photographer, situated just in Leeds, neighbouring Manchester, Sheffield and York. Your weddings can be all across the country, and if you choose me as your wedding photographer I am more than happy to travel absolutely anywhere in the country (and beyond! ).